How many of you know what your Dad thought about Christ, at Christmas time? Four of us pondered that question over dinner this week and found an opportunity and a challenge for the men at Grace. It is often awkward for men to speak with conviction about the truths of Christmas, in a personal way, to our families. If we speak plainly, however, our children will not be left wondering what we believe as they mature. 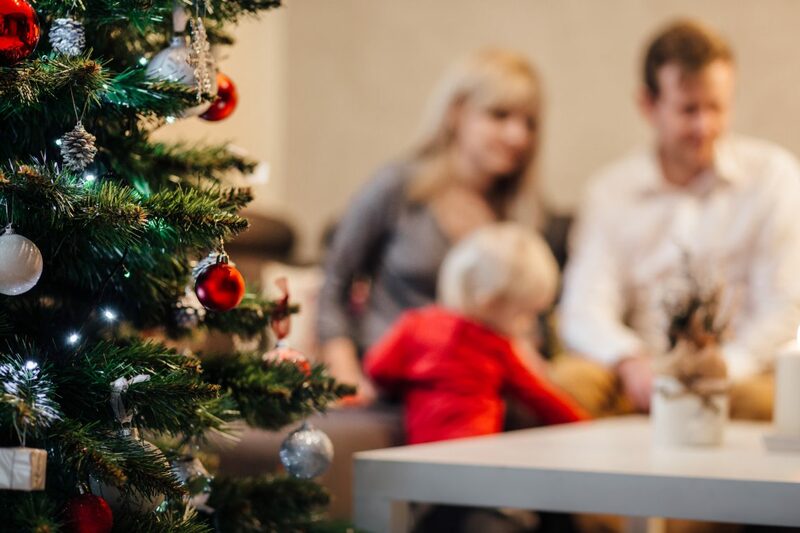 Can we set aside a few minutes with our families each day in December to clearly speak about Christ, at Christmas? This year we want to speak openly about what is true and amazing to us about Christmas. Starting December 1st through Christmas, the challenge for each of us is to pray, discuss, and speak to our families about Christmas as part of the Gospel each day. The goal is to engage in a personal discussion so that we can understand and guide our families’ thoughts about this season. One way to start the conversation is to pick one of the questions below and find out what your family members think about the topic, before answering on your own. Praying together to close your time is a great way to reverently remember why this really matters. Here is a list of different questions that can help you begin each time together with your family. How is God’s complete and unwavering faithfulness shown at Christmas? What is the most courageous love you personally have seen lived out? How is Christ, at Christmas, better? Are you amazed at God’s creativity at Christmas? A tiny baby, a weak body, for the redemption of God? Does the kindness of God ever stop you in your tracks during the day? Do you remember the last time that happened? How do you relate this kindness you’ve felt to the birth of the Messiah? Do the precision of God’s plan and fulfillment cause you wonder? How does that precision lead you to a deeper conviction of God’s sovereignty? When you were younger, how did you think about and celebrate God’s Son at Christmas? How have you matured? Is God’s mercy something you think of often at Christmas? What experiences during this time of year remind you of his unending mercy? What parts of Christmas are an exciting mystery to you? When you imagine the entire host of heaven worshiping and praising God for the Messiah, what do you think about that scene? Does Christmas create wonder and awe in you? How so? Why is it amazing to you? What difference does Christ make in your family, and the ideas you want your family to be excited about? What was your favorite part of celebrating Christmas as a child? Has it changed as you’ve grown as a believer? What is it about Christmas that causes you the most delight now? Can you imagine the humility of Christ at Christmas? How about on the cross? What is the most humbling experience you’ve gone through? What is the best physical gift you remember being given? How is the treasure of Christ better? Imagine you take away Christ from Christmas. How must people who don’t believe in Christ experience Christmas? Compare that to the thoughts you think at the time of Christmas, about Christ. Do you experience the peace of Christ at Christmas, that surpasses all understanding? What kinds of things have you gone through before and experienced the peace of Christ, that comes by way of the Gospel itself? When did you believe Christ was not just your Redeemer, but the Redeemer of all mankind? What comes to your mind when Jesus is named the “Prince of Peace”? When have you seen the Prince of Peace bring miraculous peace to yourself, your family or people you know? Who is “Immanuel”? When you consider that God would come walk among us and experience our frailty and weakness, how does that influence the way you pray? How about the way you speak to your friends who are not believers? This post was written by one (or more) members of the Family Discipleship Focus Group.